CVME was established in 1982 by Philip Browning carrying out servicing, repairs and modifications to commercial vehicles. In 1985 a customer operating several removal vans was unable to settle his account so asked if a removal van would be acceptable as payment. This was accepted and the start of the rental company as a spot hire removal truck. 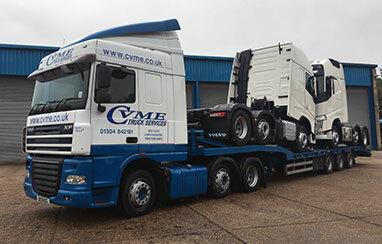 Over the years CVME has added a range of vehicles to its already growing fleet which is now in excess of 450 vehicles offering 4x2, 6x2 tractor units, some of our tractor units have hydraulics on them to operate walking floor trailers, bulk tipping trailers and car transporter trailers. 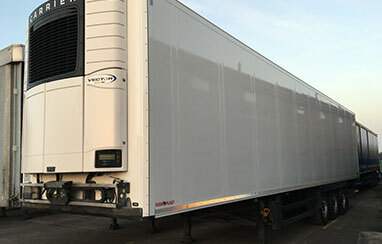 Refrigerated box vans with tuck away tail lifts, box vans, curtainsiders at 18,000kg and 7,500kgs. 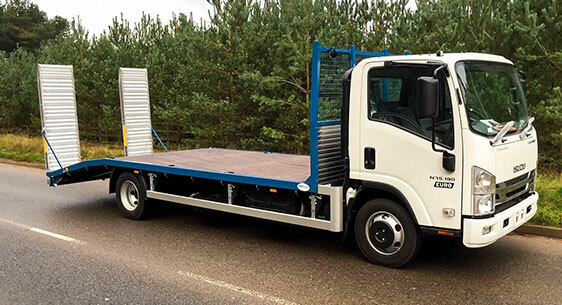 There’s a number of 7,500kg with twin sleeper cabs, aluminium constructed Curtainsiders and Box Van vehicles with a choice of either tuck away, column or cantilever tail lift. In 2016 CVME added Nooteboom Heavy Haulage Low Loader Trailers to its growing fleet these were such a success that in 2017 we have added a range of Schmitz Refrigerated Dual Temperature, ATP Trailers with Tail Lifts. We operate a dedicated workshop for the fleet covering general maintenance, service and safety inspections, cab and body damage repair, vehicle body assembly and tail lift maintenance. Vehicle paint spraying bay. 4 service vans fully equipped tools and fast moving spare parts to carry out on site maintenance, servicing, safety inspections, tail lift maintenance, tyre repair and replacement. 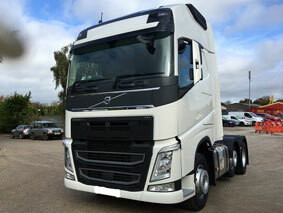 We offer a wide range of as new trucks with you as the second owner. With an understanding of whole life costs, you will be sure to have a fantastic value used truck. All used vehicles Receive a Major Service, Safety Inspection, Brake and Clutch Inspection (Components replaced as required) 12 Month MOT, 2 Year Tachograph Inspection, Body paint wear maintenance and full valet. 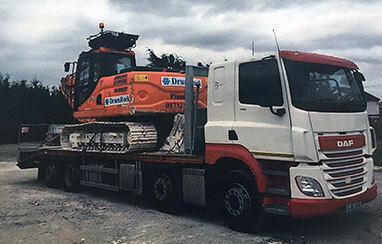 Flexible truck hire services to suit you! Daily, short or long term hire. 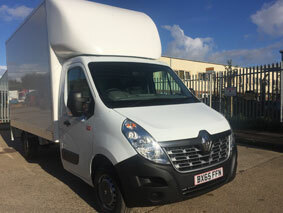 If you require the flexibility of additional vehicles without being tied into a long contract, CVME can provide short and long term hire at contract hire price. System 52 short term hire at long term contract hire rates on going as required. Can be terminated with one months notice. Box Vans. Vehicles are available with or without Tail-Lift. Box Van, Curtainsided Body, Day Cab, Single Sleeper and Twin Sleeper Cab. Vehicles are available with or without Tail-Lift. 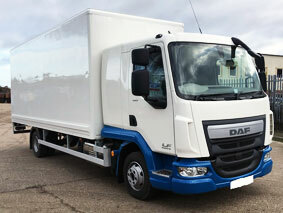 Box Van and Curtainsided body, Twin Sleeper Cab vehicles available fitted with Tuck-under Tail Lift. 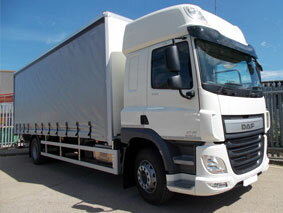 A range of 2 and 3 axle Sleeper Cab Tractor Units are available to cover all types of short and long haul journeys. Vehicles from our contract hire fleet. All vehicles receive a major service, safety inspection, brake and clutch inspection (components replaced as required) 12 months MOT, two-year tachograph inspection and full valet. Vehicles can be painted in customers’ colours and bodywork can be modified to your requirements.